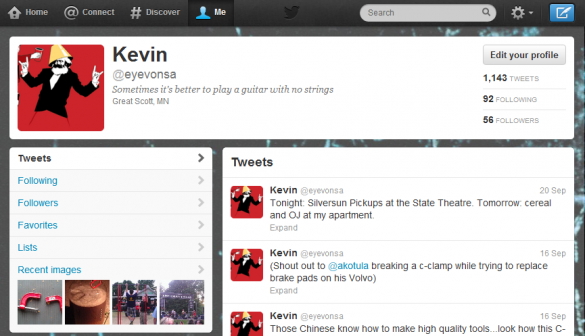 Kevin Ivanca is a 20-something who presently works and lives in the greater Minneapolis area. Although Kevin spends most of his time trying to keep up with the newest and greatest technological fads, he does find spare time to play guitar, draw comics, and socialize. Considering the sheer vastness of the Google Play marketplace, one can assume that there are countless apps that cover the realm of note-taking and to-do lists. 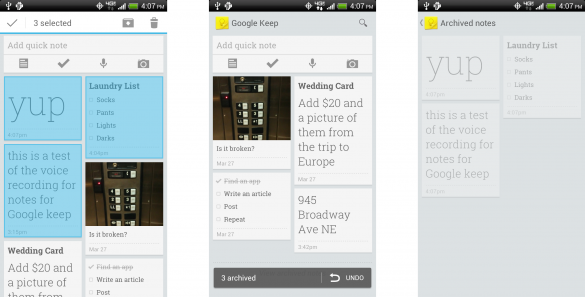 So it is not surprising that Google would try to architect a note/task app in their own fashion. 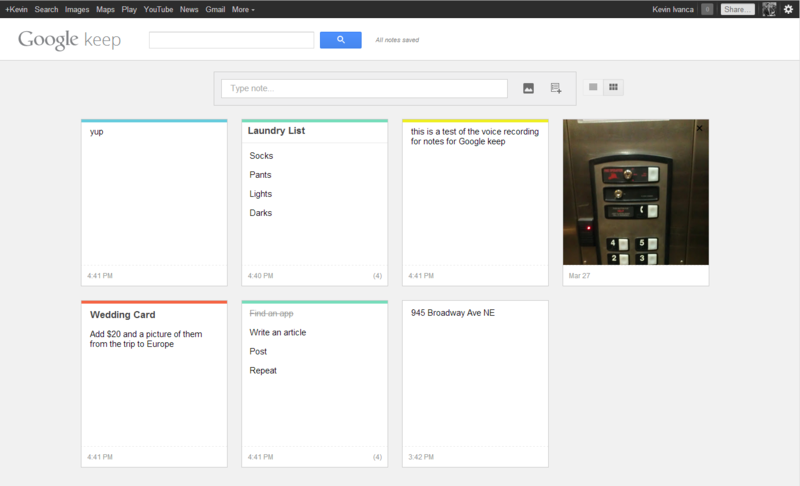 The result of this endeavor is Google Keep; an Android app that is a depository for ideas, notes, and to-do lists. The main application menu at first appears like the picture on the left: empty. The simplest way to add a note in Google Keep is by using the “quick note” option at the top. Once the note is created, it will appear on the main menu. Underneath the quick note option are the buttons for the four main note types in Google Keep: a simple note, a to-do task list, a voice-to-text note, and a picture caption note. Each of them are self-explanatory by namesake, so the minor details regarding their operation shall be skipped. As notes get composed, they will fill up the main menu screen. 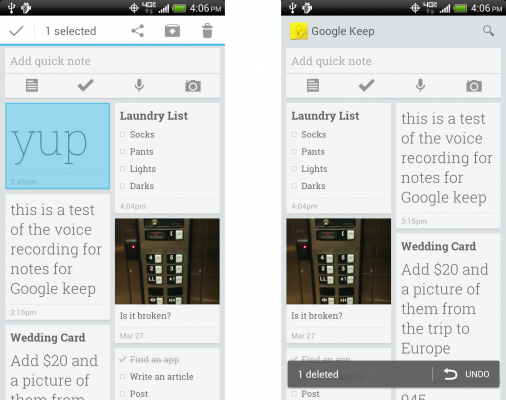 Existing notes can be modified by tapping once to open them or by holding to select (they turn blue). Once one or more notes are selected, one can choose to delete them, share them, or archive them for future reference. Notes that are in the archived folder can return to the main screen by holding and selecting it again and hitting the archive button again in the top right. If white seems a bit drab for a note color, do not fret; they can be colored to one’s liking. 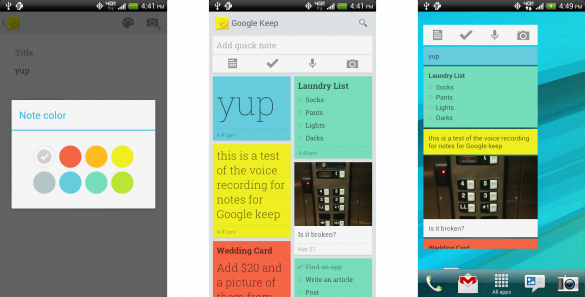 Google Keep can also be placed as a widget on a home screen for quicker viewing and editing of notes. Now colors are nice and all, but what else does Google Keep have to offer? Well, very time a note is created, modified, or destroyed inside the Android app, it automatically syncs the changes with your Google account and placed them in Google Drive. Because of this, notes can be accessed via a browser anytime from this web link here. Likewise, if notes are modified while on the browser webpage, they are automatically updated when Google Keep is accessed again on Android. Got a random thought or task that needs retention? Let Google Keep help you with that. As the realm of cloud-based file storage grows in popularity, so too does the needs of its users. The people of Dropbox understand this, and are always adding new features to improve the experience. (Never heard of Dropbox? Don’t worry, we here at Techerator have you covered.) This time around, Dropbox has added a simple, yet worthwhile option to enhance the user file sharing experience, and it’s called sharing links. Yes you heard right; Dropbox is allowing users to share links now. Here’s why: Originally, files and folders on Dropbox were shared with others via an internal “share” button. This means that they were shared and synced only between Dropbox users. But now with this new share link function, a file or entire folder can be sent out and accessed by anyone who has the proper link. The link sharing process begins by logging into one’s Dropbox account through the browser, the file explorer program, or the mobile app. Select a file or folder for distribution and click the “Share Link” option. A pop up box asks for intended recipients and a message to send to them. Note that this sharing function is not limited to email; Facebook and Twitter sharing are also supported. 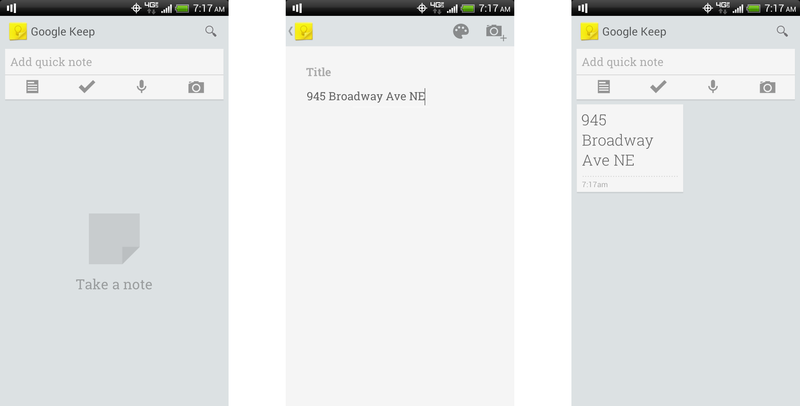 Once complete with composing a message, click “Send” to…well, send the link out into the world. Once the recipient clicks the Dropbox link in the sent message, the file or folder that was shared should appear and provide full viewing access regardless if they have a Dropbox account or not. 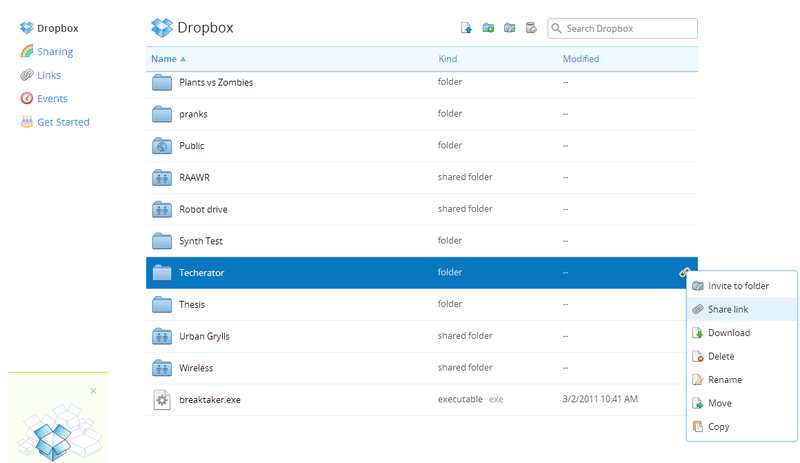 A few options exist to the user for viewing/using the shared Dropbox files and folders. The standard method for file viewing is through the web browser interface. Photos, videos, and even Microsoft Office documents can be clicked and previewed with little effort. If the recipient decides they need a shared file beyond browser viewing, Dropbox allows them to either pass the link along (note that each file in a shared folder has its own personal link as well) or to download the file to their local machine. File sharing no longer has to be difficult. Thanks to Dropbox links, there’s no more messy file compression, no more large attachments for emails, and most important of all: no more USB thumb drives. Just link and send it out. 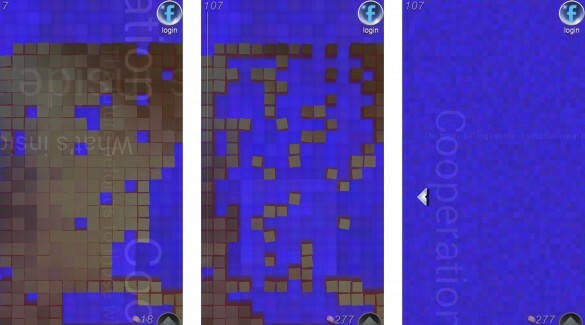 Curiosity is not your average mobile game. It doesn’t tell you to knock down forts built by pigs, it doesn’t ask you to draw something, and it definitely doesn’t ask you to harvest a field. 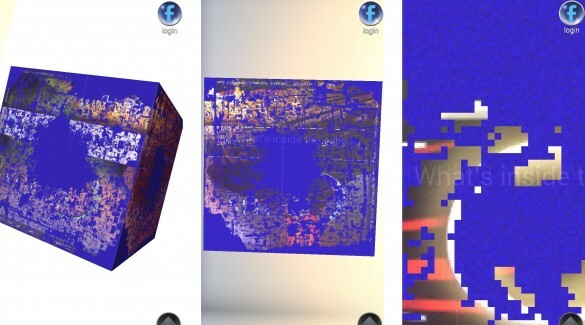 No, all that Curiosity asks is for you to answer one simple question: What’s inside the cube? This simplistic, mysterious game idea was conceived by the developer group 22Cans and the well known game designer Peter Molyneux. It can be found on all major mobile platforms (Android and iOS) and can be played with or without logging into Facebook. Once the game is loaded, a cube should appear with what looks like a mismatch of two colors. In actuality, those colors being shown are two different layers consisting of much smaller cubes. The main function of the game is to chip these tiny cublets off the outer layer to fully expose the inner layer. Since the cube is run on a giant server, at any given time countless people are breaking away that outer layer (and potentially in the exact same area you are breaking cubes at). One the outer layer is completely gone, the process repeats itself on the inner layer; layer by layer, cube by cube, until the final layer is revealed. At the final layer is where Curiosity gets interesting. Whomever breaks the final cube on the final layer wins whatever is inside the cube. What could it be? Money? Fame? A free copy of Black and White or Fable 3? An all exclusive paid trip to Sheboygan, Wisconsin? That’s why the game is called Curiosity; we won’t really know what lies inside until that final click happens. Until that day comes (it is rumored that there is 1000 layers to break through), enjoy the addicting gameplay Curiosity has to offer. If you haven’t noticed, every time you break a small cube, you get coins. These coins can be used in the Curiosity main menu to improve your block smashing abilities on the current layer. The more cubelets you smash, the more coins you get, the better tools you can use, and so on. 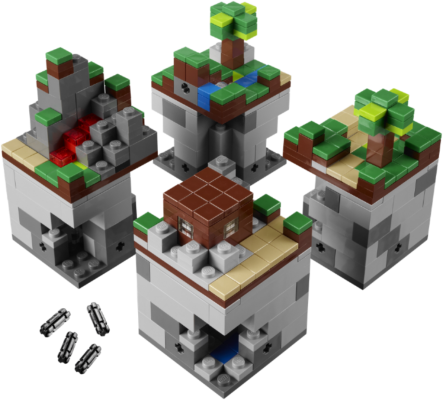 Furthermore, because the game is constantly being updated and improved, better tools and items are on the horizon to take your cube breaking abilities to 11. 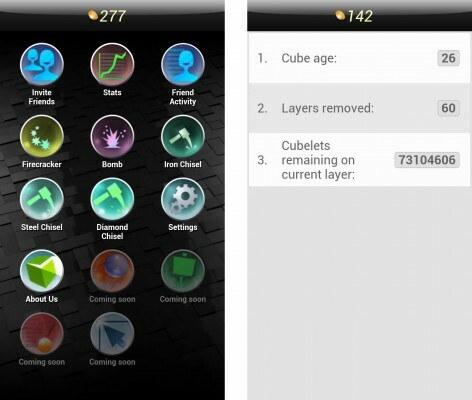 The main page also has a Stats section that tells you how many layers have been removed so far and how many cubelets are left on the present layer. Your Facebook profile can also be linked to your coins so that you can move them across mobile platforms (as well as boast to your friends how awesome your cube wrecking skills are). Sooner or later, that final cube will be revealed. Will your finger be the one to break it and reap the spoils? Sometimes, kids can be the worst people to buy for. Because of their constant exposure to the media and marketing, their desires and wants change from one fad to another almost instantaneously and always at the most inopportune time. Of course, one can always go the route of buying them clothes (they grow up so fast, don’t they? ), but before one resorts to this consider these “kid tested Techerator approved” gift ideas first. Nintendo is always a good contender for kids and families alike during the holiday season and this year is no different. 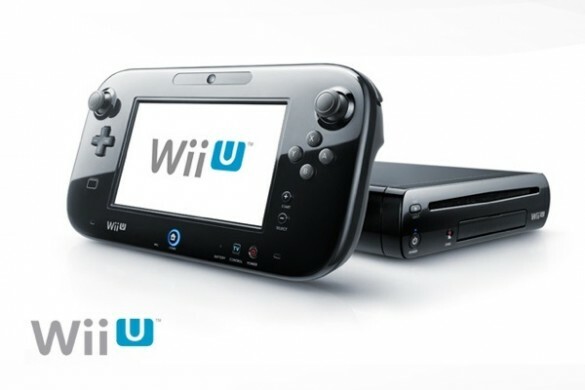 This time around, they have the new Wii U gaming console (with oodles and oodles of new games) as well as their portable 3DS platform for kid gaming on the go. For a good source of family fun this season, consider getting the Wii U and show your kids how a true Mario fan saves the princess. 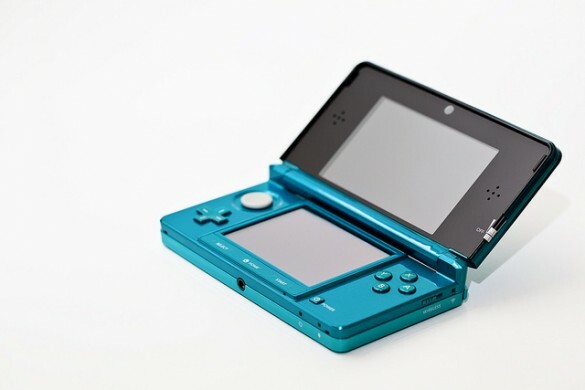 For some peace and quiet on the drive back from the holiday celebrations with relatives, consider the Nintendo 3DS instead with its own kid-friendly game offerings. It is not hard to see that the world is catching on to portable tablets like a moth to a LED-powered flame. The younger generation is no different. Granted, there are quite a few options out there to consider this holiday season (each one with their own pros and cons), but here are a few recommendations. At the low-end of the pricing spectrum is the $99 LeapFrog LeapPad with a simple user interface and plenty of educational apps for the budding minds you are cultivating. For a mid-range tablet with full access to books, movies, and games, consider the $199 Kindle Fire by Amazon. And finally, there is always the $329 iPad mini by Apple (if you’re having trouble deciding which table to get for your child, check out our helpful guide.). Regardless of which one that is bought, the purchase of a tablet this holiday season should provide hours of blissful entertainment and learning (and your kid will like it too). 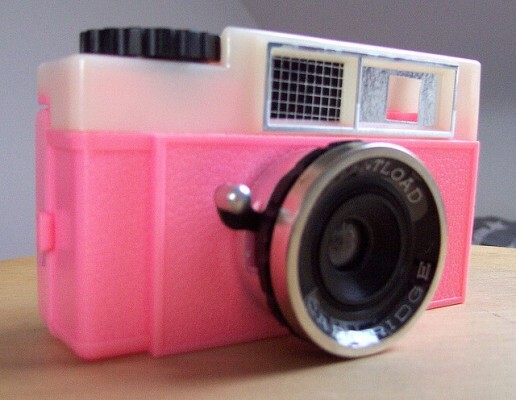 No matter the age, kids love participating in photographs. So for this holiday season consider switching places with your child and let them take the pictures instead. A good camera to look into buying is the Vtech Kidizoom Spin and Smile Digital Camera at $39.99. It comes with a 2 megapixel camera, 4x zoom, and a plethora of special effects that can be applied to the pictures it takes. Don’t look now, but the Furbie is back. 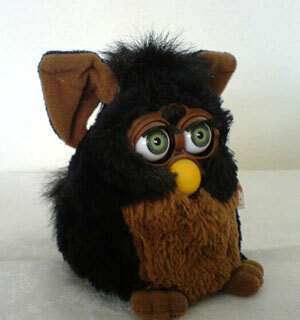 Yes, after 14 years the Furbie is being re-released via the folks at Hasbro. So what has changed this time around? Well, according to the synopsis on the Amazon product page, the newest version of Furbie “…has A MIND OF ITS OWN.” You can talk to it, tickle it, pet it, shake it (but not too hard), and play music to it. Furby responds to all these interactions at first in its own proprietary language, but as time wears on it will start to learn English and respond appropriately (hence the “mind of its own” part). Currently a Furby is going for $59.99 on Amazon. So far, this article has presented some technological options for kids. But what if one wants to remove technology from the equation? Thankfully, there are plenty of imagination-molding toys and games out there that can provide the same level of engagement that a tablet or gaming console can. So do your kid a favor and get their creativity flowing by buying them some Legos (and yes, they make Lego sets for girls). The author recommends the Millenium Falcon Lego set (at $139) due to the fact that he never had one as a kid. From tablets to Legos, the only reason why you’d have to resort to buying socks and underwear this holiday season for the kids on your list is if they desperately need them. The image above is smartphone photography in its truest form; taken this month at the official Microsoft Store at the Mall of America (across the walkway from the Apple Store), this sign heralds the next big step for the software/hardware giant. 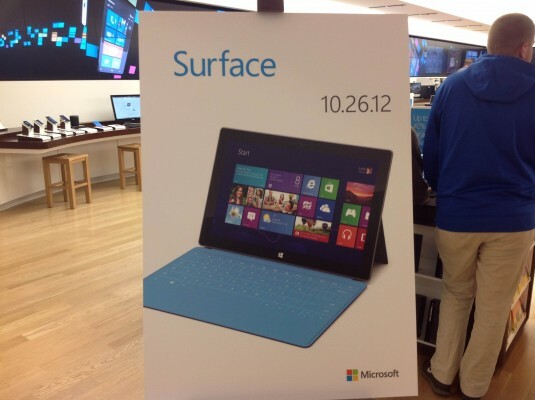 Indeed, the Surface tablet by Microsoft is arriving in stores this Friday, October 26th, 2012. 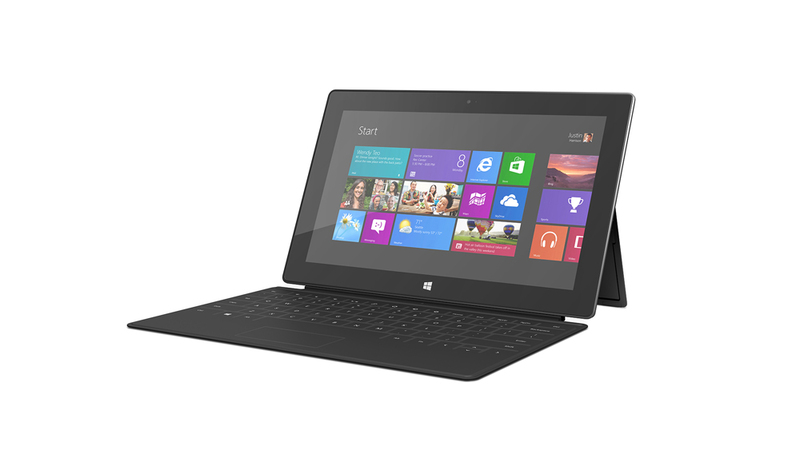 The Surface tablet is Microsoft’s new investment into the touch screen tablet market. It comes as a 2lb, 10.6″ 10 point multi-touch HD tablet (larger in both regards than the 1.5lb, 9.7″ screened iPad) with stereo speakers, a few USB ports, a micro SD slot, front and rear facing cameras, a headphone port, and a video display output port. The tablet is supported by a 22 degree “kickstand” that can flip in and out for maximum viewability. The main keyboard is a pressure sensitive interface that doubles as the protective case for the Surface’s screen, and for an improved typing experience can be upgraded to the hard, mechanical Type Cover. Both keyboards work in hand with the kickstand to efficiently turn on and off the Surface when closed or transported. Besides the physical attributes, the Surface is being advertised as two different tablets with two distinct operating system options. The Surface’s first operating system coming out on October 26th is known as Windows RT, which can be considered like a “light” version of Windows 8. All the iconic Windows Metro tiles are present here (Mail, Sky Drive, Calendar, Facebook, etc); with them installed the homescreen can be modified and tweaked to suit one’s preferences. Additional applications and tiles can be downloaded by the Windows Store, which also act as the content manager for the Surface. Windows Defender is also included as a safeguard for one’ personal data. 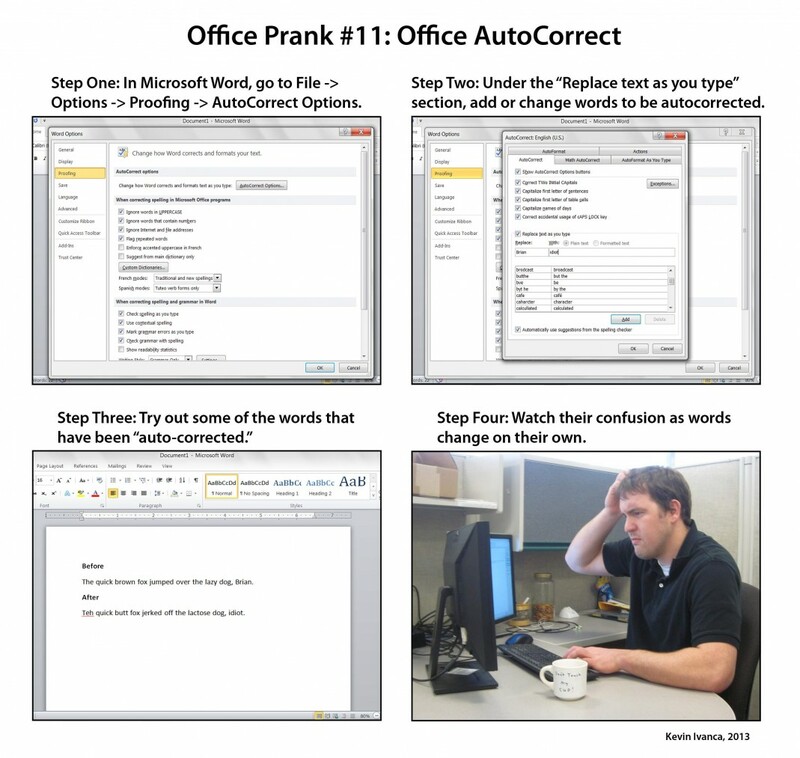 The RT version also comes initially with Microsoft Office RT Preview, which carries all the common Office products in a non-polished form (with improvements coming through a free upgrade later on). And yes, all Office programs in the Windows RT system will be touch-friendly. 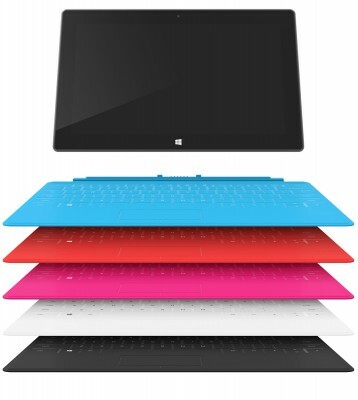 Although the Surface is being released with Windows RT, it is Windows 8 that will use it’s functionality to the fullest. The forthcoming Windows 8 on the Surface acts like Windows 7 in the background, but still has all those pretty Metro tiles on the front end with similar connectivity to social media and the like. Unlike the Windows RT version, the full Office suite will be available for the Windows 8 Pro Surface, again with emphasis added on the touch capabilities for maximum efficiency. And because Windows 7 is essentially running in the background in Windows 8, the future Surface tablet will be able to run and install any application that have been compatible with existing Windows systems. Networking and security will also be expanded beyond Windows Defender with bit-locker disk encryption, remote desktop access, and other IT management features. The main differentiation between the Windows RT version of the Surface and the Windows 8 version is quite clear: the RT Surface is currently available for $499 ($699 as the 64GB version) and the Windows 8 Pro version does not even have a release date yet. But when Windows 8 Pro is released, the improved Surface will boast an i5 Core Processor, 2 extra GB of RAM (4 GB total), and double the battery size for usage well beyond the 8 hours the Windows RT surface can provide. Presently, the Windows RT version can be pre-ordered from the Microsoft Store, but depending on the release of Windows 8 it may make sense to wait and see if the Surface can really stretch its wings with the added functionality. The folks at Twitter are at it again. This time, they took a long look at the old profile format and asked the question “How can we make this uniform across all the digital media platforms?” Well, according to their blog (most notably this post here), it appears they have solved that with a new profile design feature: the Universal Image Header. Now even though the transition from the old to the new may take some time, we here at Techerator are here to help you get your new profile appearance set up. 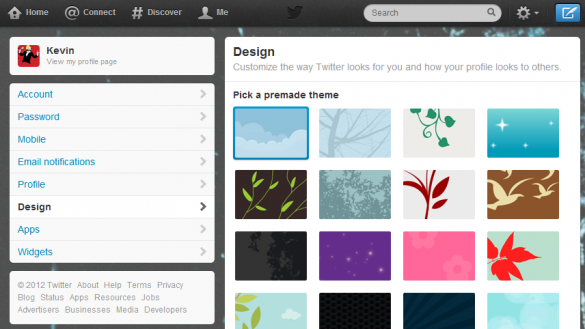 First, go to the Profile Settings page and click on the Design tab. 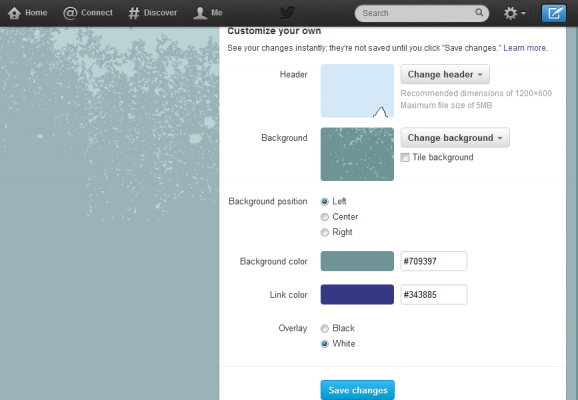 From here, scroll down to the section called Change Header. Pick a profound and or appropriate personal photo for your new header, and then click the Save Changes button at the bottom. And there you have it. 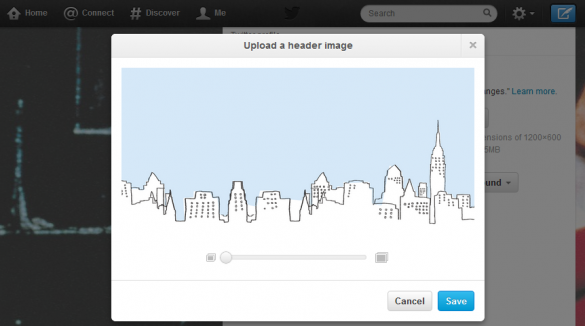 With this new personalized image header in place, your Twitter profile is now ready to be viewed in any digital media situation; Android or iPhone, iPad or web browser. 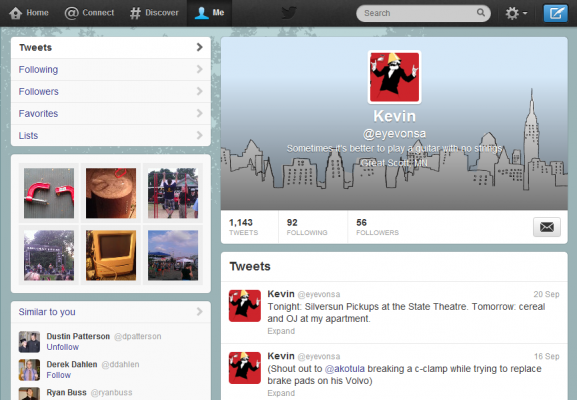 Universal profile design: now featured on Twitter. Get yours today. I have always been reliant on my Gmail account for all of my personal electronic correspondence — it’s the primary link between me and my networked and integrated world. Over the years, it has accumulated a considerable amount of important (and equally unimportant) emails. If I rely so heavily on my Gmail account, why has it taken me this long to realize that I have never backed it up? I mean, every other important digital file I own (pictures, music, etc.) is backed up in at least three places. Why shouldn’t my email inbox be as well? 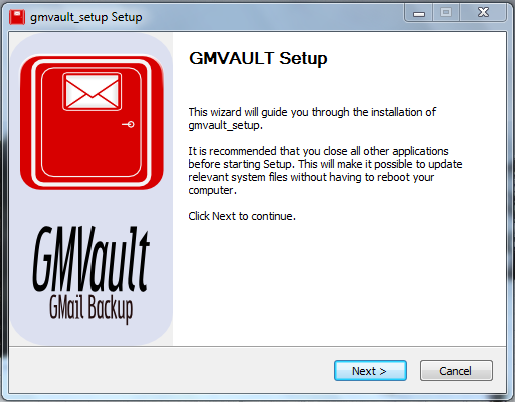 After coming to my wits, I decided to try a Gmail backup/restore program and remove any doubt, and of all the backup options available, I decided upon Gmvault. 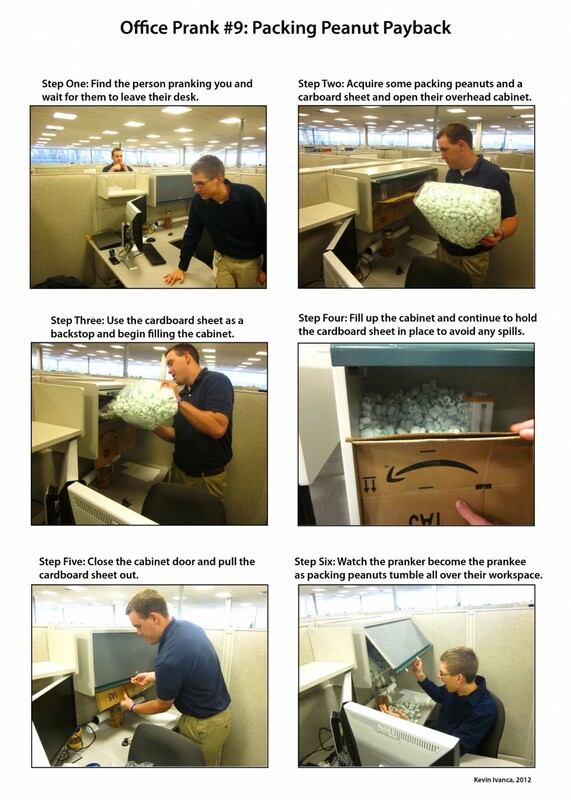 The setup is fairly simple and takes no extra hassle to install. After installation, proceed to the main menu to begin using Gmvault. But wait, this is the main menu? Why yes, this is not a joke — the main menu for Gmvault is indeed a command window. 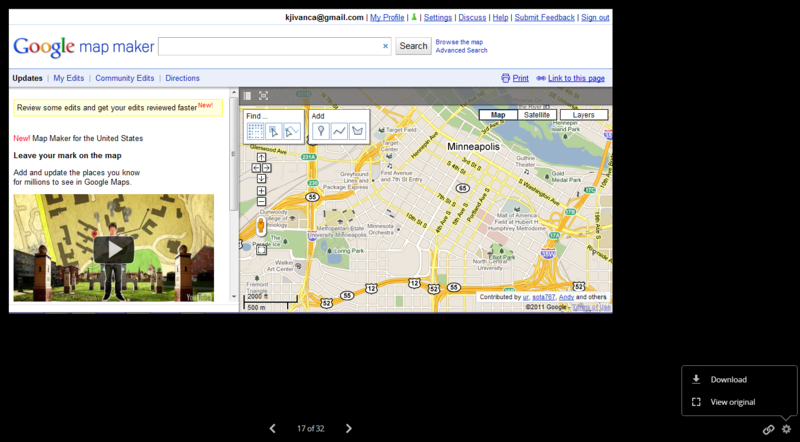 Before one gets nervous due to the “lack of a proper user interface,” let me demonstrate Gmvault’s simplicity. 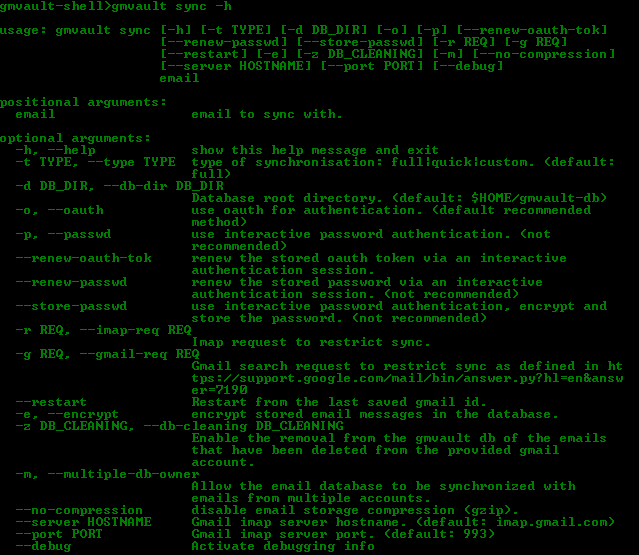 Start off by typing gmvault –h into the command window. From here, one can see that this program has really only two functions: Sync and Restore. Let’s start with Sync (a.k.a. backup). 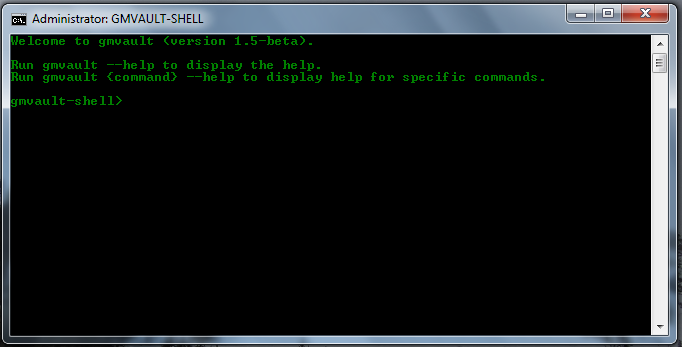 From the Gmvault command prompt, type in gmvault sync –h to pull up the options and examples for the Sync function. Again, this may look like a lot to understand, but the main portion you want to look at is the Examples. From this list, one can find their perfect backup situation. Considering that I had never backed up my Gmail emails before, Option A became the most logical choice. After typing in gmvault sync [my email address], the program asks for permission via your Gmail account to begin syncing and backing up your inbox. This is done through a browser pop-up that appears. After allowing access to your account, hit Enter and watch Gmvault go to work. Every once in a while, Gmvault will update you with its progress and how much time is left (so you don’t have to watch it constantly). Once completed, a success prompt will appear. If you want to verify the backup process, the emails can be found in C:\Users\…\gmvault-db. I won’t go into too much detail about the Restore function, but essentially it works in the reverse order that Sync did. Type gmvault restore -h to see the help options. From the exact same folder used for backup, Gmvault begins the process of restoring your emails back to the account specified. Simple, quick, and effective. 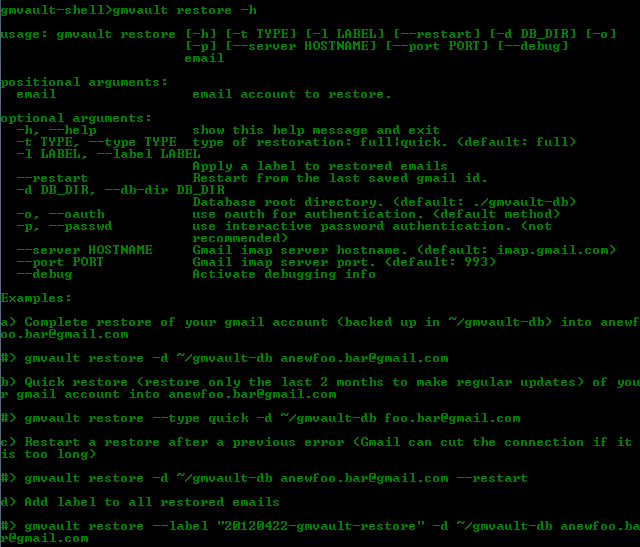 Gmvault may not have a fancy user interface or a cool progress bar, but it makes up for that by successfully backing up and restoring your Gmail account with simple commands and quiet precision. 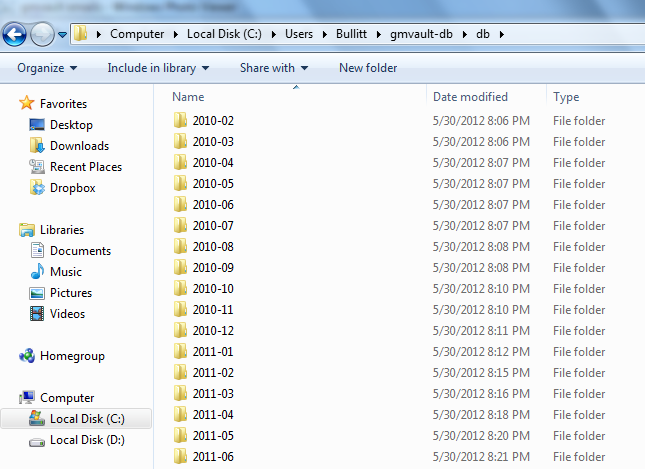 Gmvault is a free download for Windows, Mac OS X, and Linux. The term high fidelity (or hi-fi) can be traced back to the dawn of music recording, and in general defined a system that could reproduce music with the sharpest and most fulfilling audio quality. And as the generations moved from turntables to boomboxes to walkmans to portable music players, so too did the continual desire to purchase high-end, hi-fi systems to blast the tunes. Although today one can still get bulky hi-fi stereo systems with 400W of power, a CD tray, an iPod dock, and a remote control, it just doesn’t seem to be as trendy and up-to-date as it did in 1996. Fortunately, that’s where Sonos comes in. Sonos is taking back the term “hi-fi” and giving it some flair. It is a compact, modular, wireless stereo system that can be set up in any (or every) room in the house with just two components: A speaker and a local area network with internet connectivity. And because it is wireless, it can stream just about everything you can think of. 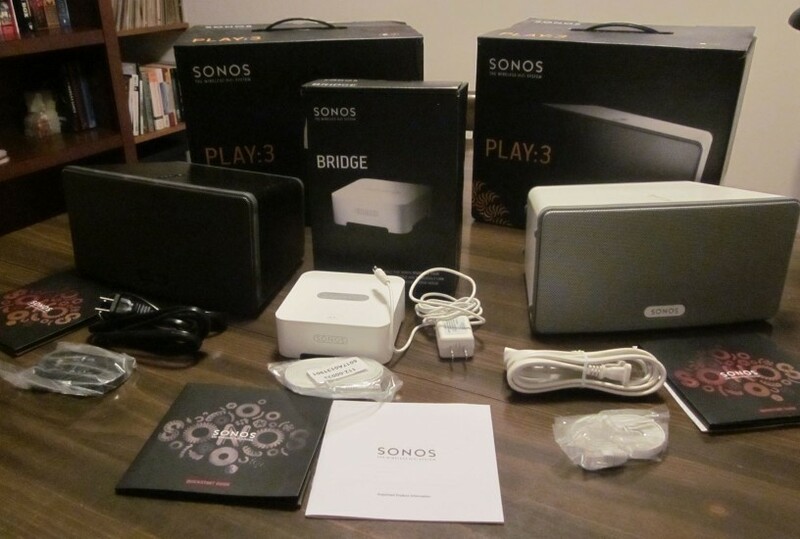 For this article, two Play:3 network speakers (the smaller of the two speaker offerings at $299 each) and a Sonos network bridge ($49) were used. 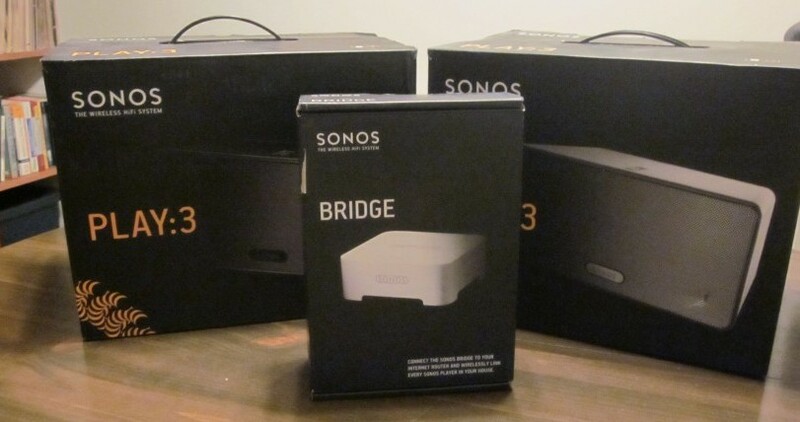 The Bridge is the extra add-on that makes the Sonos system go wireless, and if one is going to deck their rooms with speakers it is a must. Besides speakers and network hubs, a Sonos stereo system can also be paired with an amplifier ($499), an iPod docking station ($119), or a connection hub ($349) that converts an existing home stereo system for music streaming (all of which are available on the Sonos website or Amazon). 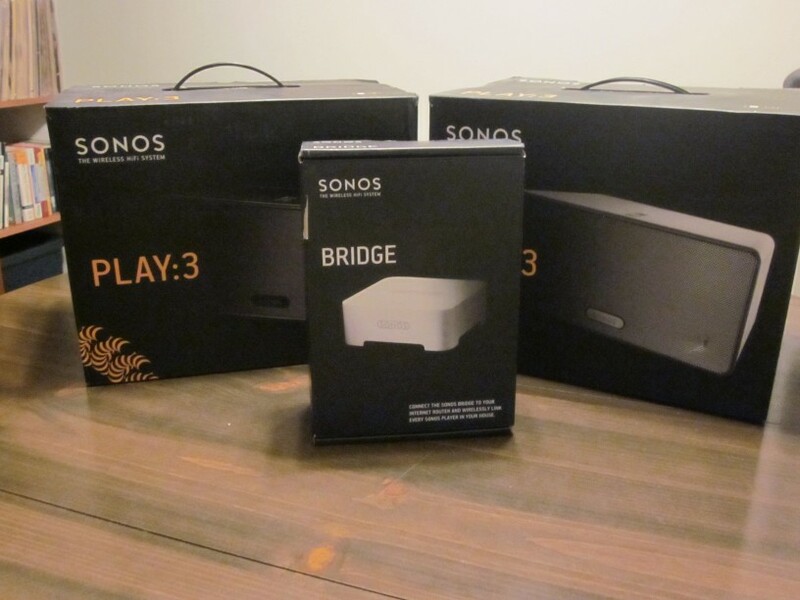 As one can deduce by the prices, though, these components can add up quickly so be mindful that one does not need absolutely everything to get a Sonos stereo system set up in their home. 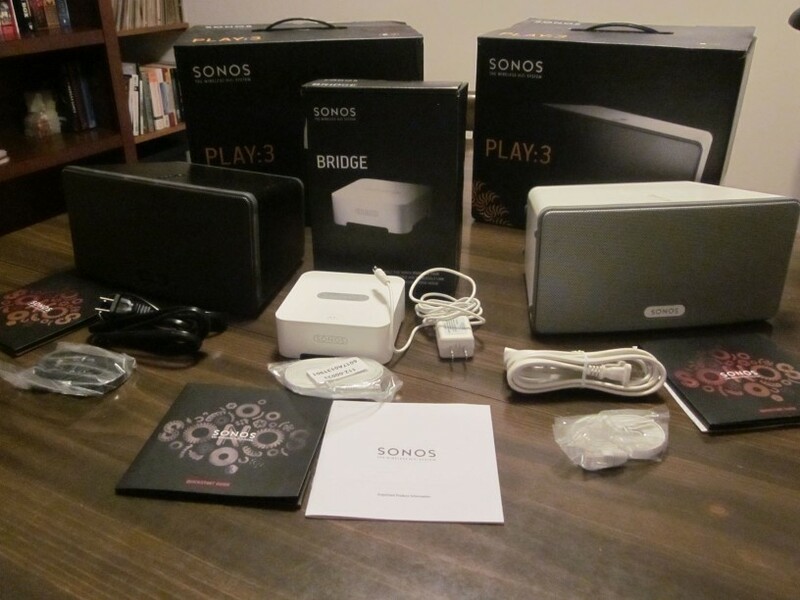 Included in each box with the speakers/Bridge is a power cable, a network cable, an install CD, and a manual. Once all the packaging has been set aside, it is time to set the system up. If the Bridge wireless gateway was purchased, that should be set up first. 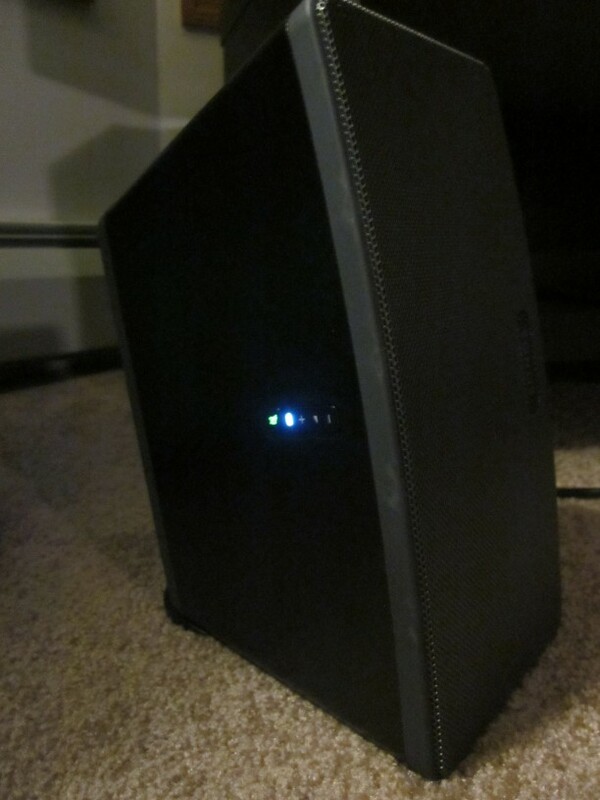 The Bridge (which is the box that makes the whole system wireless) plugs directly into your router/wireless modem via Ethernet and automatically connects to your local network. Because it is a wired connection, no passwords or other setup configurations are necessary. Once the Bridge is in place, one can set the Play Speakers in any room of the house (within wireless distance) and supply them power. If the Bridge was not purchased, then simply add an Ethernet cable to the Play speakers and connect them to your router to get them integrated into your network. The software comes included in the box as an install CD, but it also can be found here if needed. The controller software is available for Windows (XPSP3 and up), Mac OS X (10.6 or 10.7), Android (which is evaluated in the next section) and iPhone/iPad. For this installation, a networked Windows 7 machine was used. 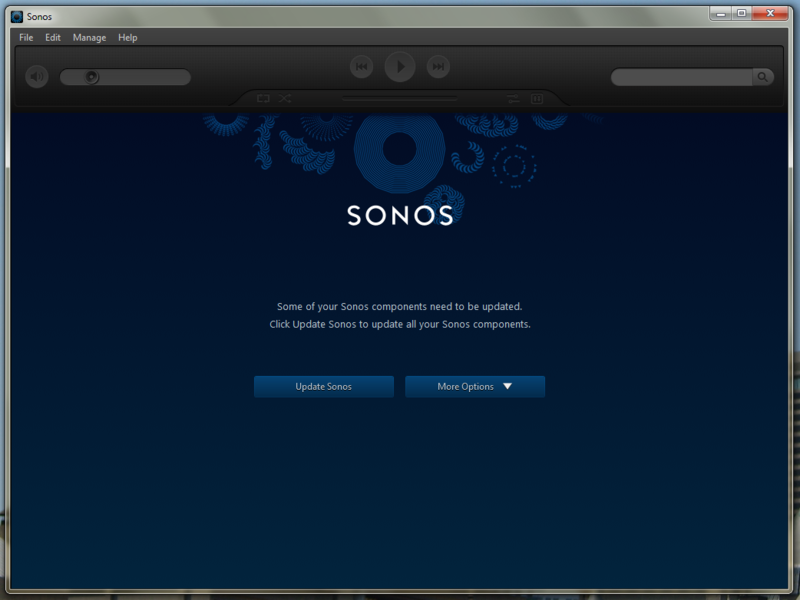 The first step is to run through the Sonos Controller installer on the machine and grant it firewall access. 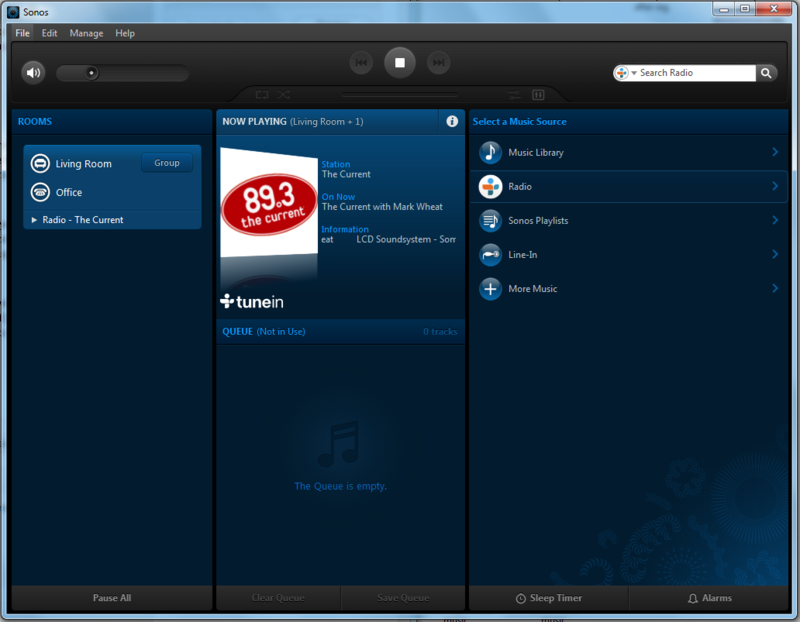 Once installed, the “Sonos Setup Assistant” kicks in so that all the speakers can be networked and connected to the controller software. When connecting, the software will ask you to physically push a few buttons on the Bridge or Play speaker to get it to sync with your local network. 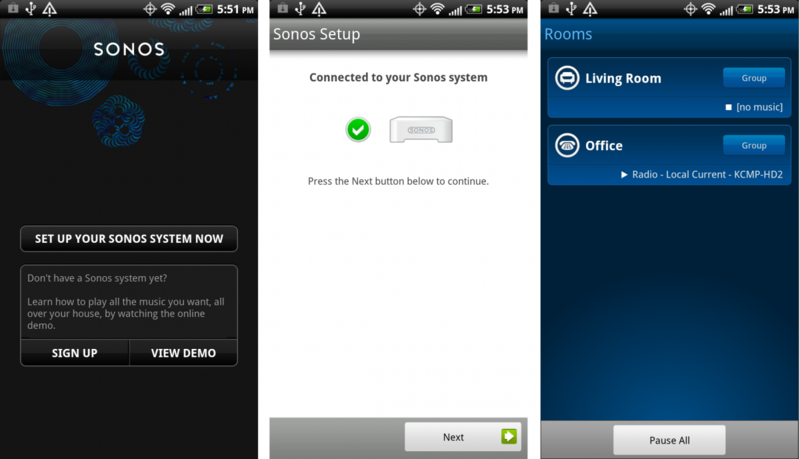 If communication goes well, the software will give you a confirmation and ask if you want to connect other Sonos devices. This is the time to add the speakers as well. What the heck is a Foyer? When the Play speakers are connected, the Assistant software prompts for a location so that if more than one exists on the network, they can be differentiated by the room they are in. 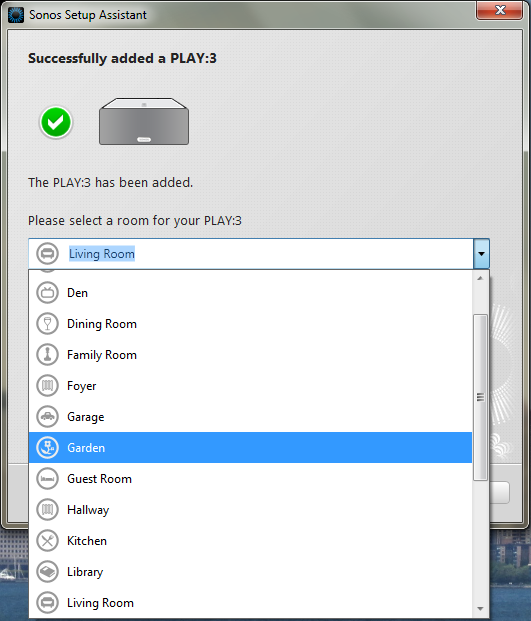 The drop down menu is filled with various homely (and unique) options to segregate which speakers are where and should be used appropriately if one wants the full Sonos experience in their house (which will be explained later). Finally, after all the Sonos components have been linked the main Controller program opens and asks for you to register and update your new stereo system. As long as the speakers and Bridge have been configured to the network properly, they will update automatically. If your networked computer is not portable enough, than maybe the mobile software is the right option instead. As mentioned before, it is available for Android, iPhone, and iPad from their respective app marketplaces (or again at the Sonos website). Note that the phone/pad/mobile device must be connected to the same wireless local area network or else the Bridge and Play:3 speakers will not be controllable. 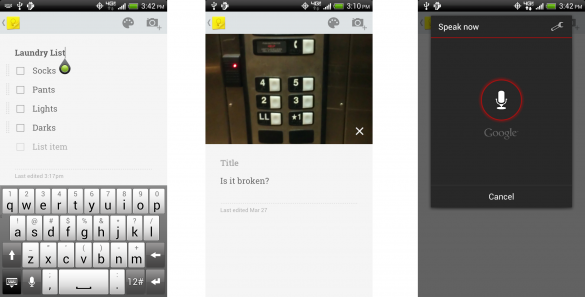 For this article, a standard Android phone was used to demonstrate the mobile controller interface. Like the Windows PC setup, the Android app asks for you to manually push the button on the Bridge wi-fi controller to connect to your sound system. If the Play speakers have been set up already with the Bridge, no further connections are necessary and the mobile app is ready to be in control. After all the installing, connecting, and updating has been successfully maneuvered, your Sonos system should look like the picture above. On the left should be every Play speaker that has been connected (grouped by their room), on the far right is all the options Sonos has for streaming and music listening (and it is a lot of options). For now, let’s focus on the right side and all the streaming options Sonos has to offer. If one is interested in listening to a radio station, all Sonos needs is a ZIP code or a major city and it automatically finds a plethora of channels for one to select and play. 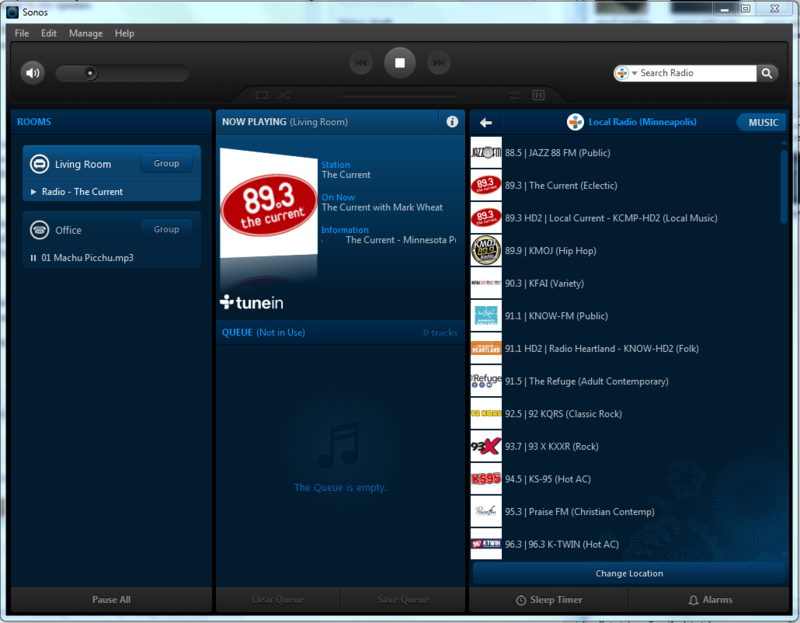 As one can see, once a radio station is selected, the highlighted Play speaker on the left will automatically start playing and the “Now Playing” section in the middle will be updated to show artist/song title and radio show information. If one wants to enable some tunes from their own personal online streaming account (or create a new one), Sonos is more than ready for the task. 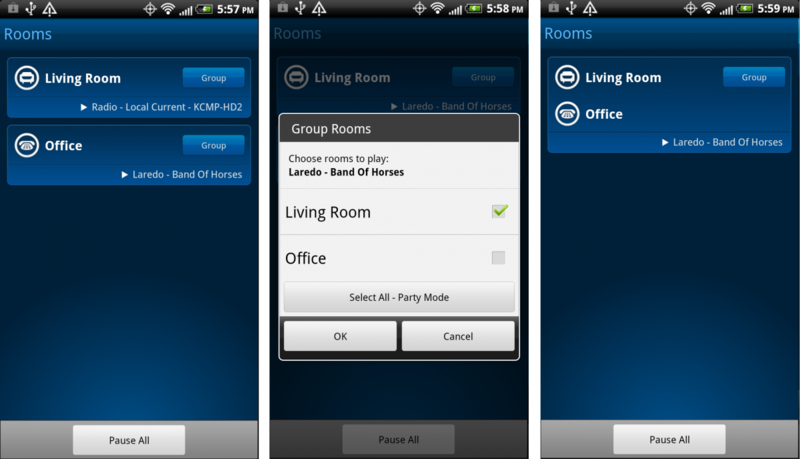 As seen in the picture above, Sonos allows for numerous popular streaming options and services that can be accessed and played on the system. 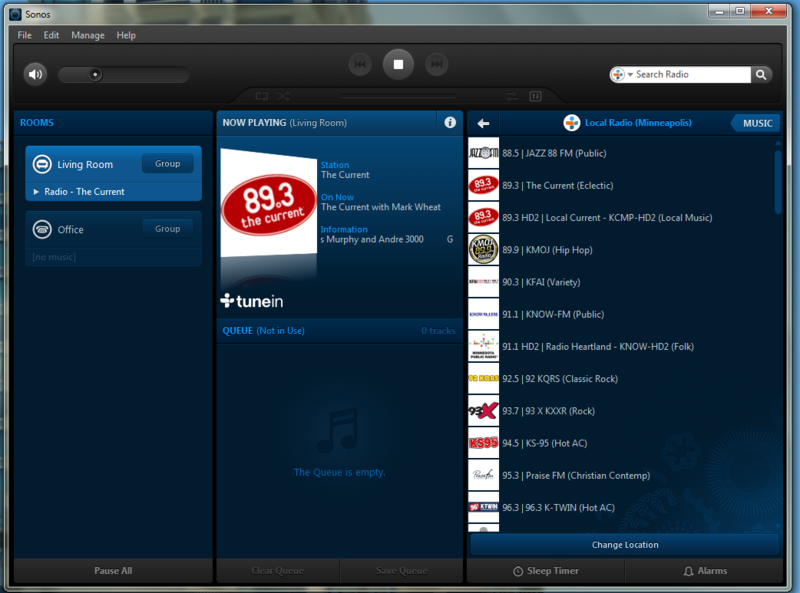 Just log in or register, pick a playlist or song, and Sonos does the rest. Besides channeling other sources and streams, Sonos also allows one to channel personal music libraries as well. 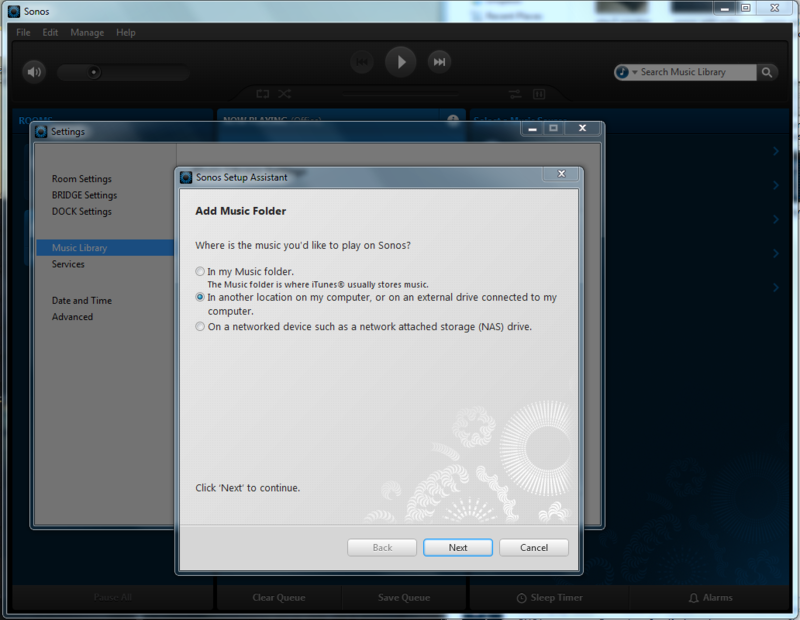 To get music onto Sonos, one must first allow the folder to be shared on the network (For Windows 7, this is done by right clicking on the folder and selecting “Share With” and then a “Homegroup” option). 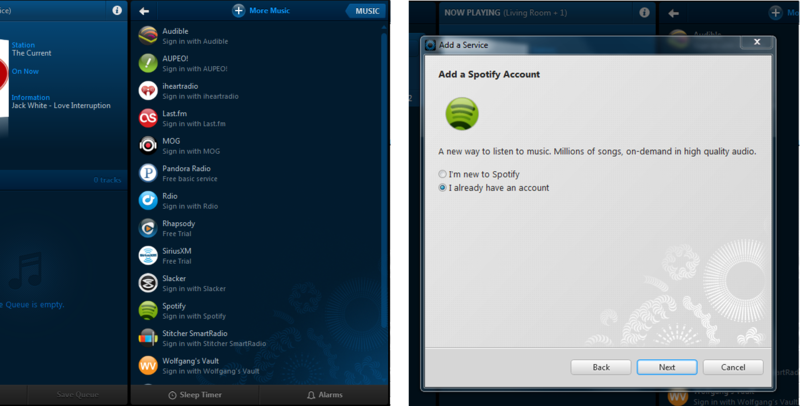 If this step is not done, much confusion can arise as the music will not be available for Sonos to access. Again, it is important to note that for this music to be accessed, the location of the files needs to be active and on the network (i.e. the device in question storing the music files must be on and networked). 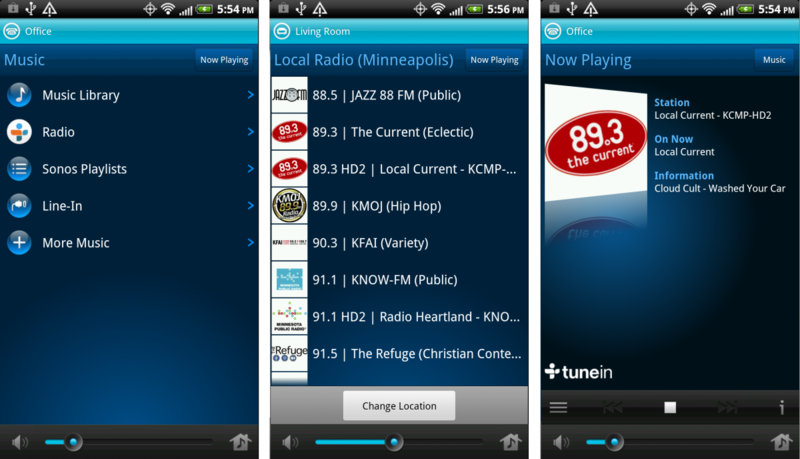 Like the other sections mentioned above, the mobile controller also allows for streaming, radio, and access to your local media library as well. 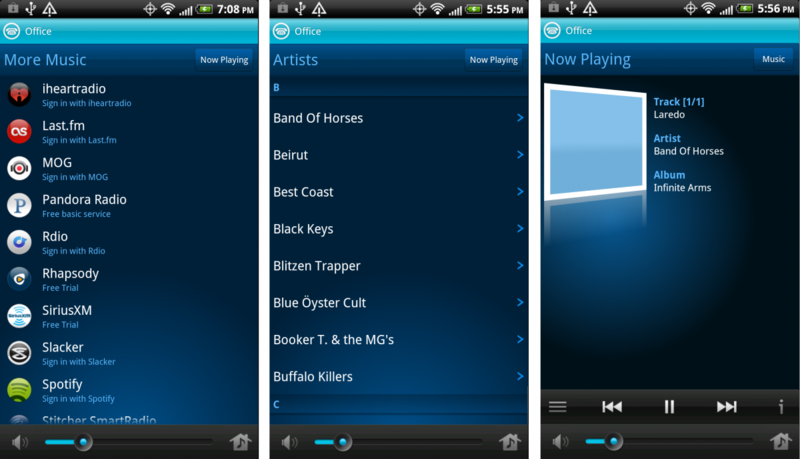 As long as the bridge is connected to the same network as the mobile app, the devices will talk to each other and push changes in music selections. Now that a majority of the streaming or listening options have been surveyed, let’s return to the far left of the Controller interface and display the full potential of the Sonos wireless hi-fi system. Up until now, the music options presented have been shown playing on just one speaker. But in reality, one can play something different on each speaker, hence why it was important to label the Play speakers based on where they are going to be situated. So essentially, every room with a Sonos speaker in it could be playing something different, meaning that there should be no contention between siblings/roommates/significant others as to what the audio system should be set to. Furthermore, not only can one use the speakers individually for music but as a group as well. 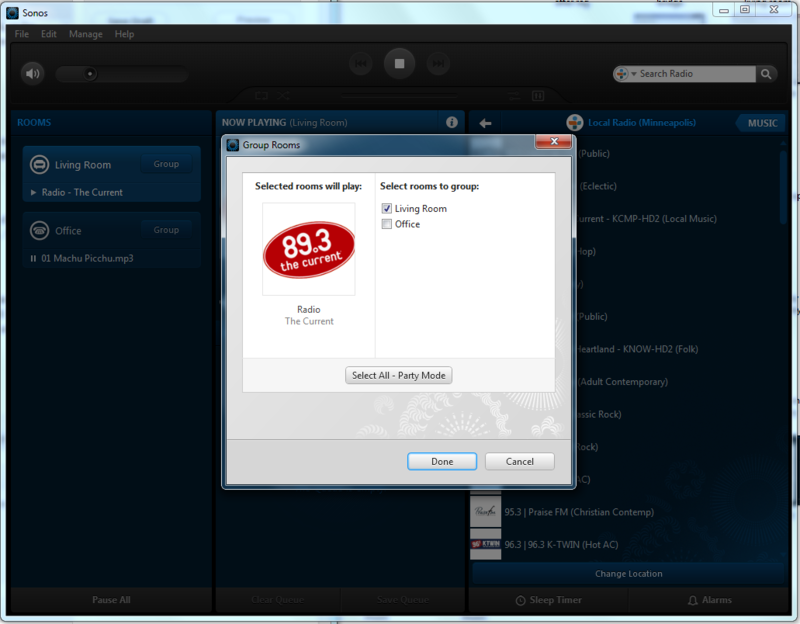 Just click the “Group” button, select the speakers to group, and listen for the sound of acoustic harmony. Now the beauty of Sonos has been revealed: because it is wireless and easy to manipulate in the Controller interface, it is completely and utterly configurable to suit any room, event, personality, or venue. Just pick a tune, pick a speaker configuration, and let the jams flow. Sonos is definitely not your stereotypical hi-fi stereo system. It is modular, fully networked, completely configurable, and open enough to access just about every genre, single, album, or artist that exists out there to stream. After a solid month of usage, even the two Play:3 speaker with a wireless Bridge system used for this article proved its usefulness in every situation it was presented: house parties with a dozen conversations filling the air, quiet nights on the couch with a book, and even those underwear air guitar jam sessions at 3:00 in the morning. To be honest, the main limiting factor to the full Sonos experience is the prices on the components themselves; the system is worth the cost, but if those prices were reduced a bit or tiered it is certain that Sonos would be in every household in no time at all. For now, though, the system should have no problem satisfying audio enthusiasts and home theater experts alike. The age-old glory of hi-fi stereo has returned, and Sonos is leading the charge. 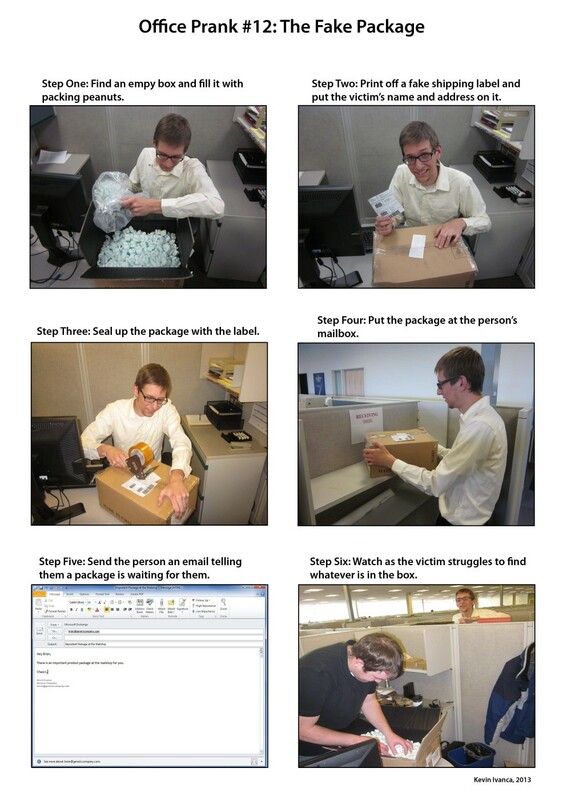 Another year has passed, and once again it is time to use that one special day of the year to wreak havoc upon those co-workers you like, dislike, or may not even know. Last year, some interesting April Fools pranks were presented here at Techerator, but like the ever-expanding Wikipedia that list was far from complete. 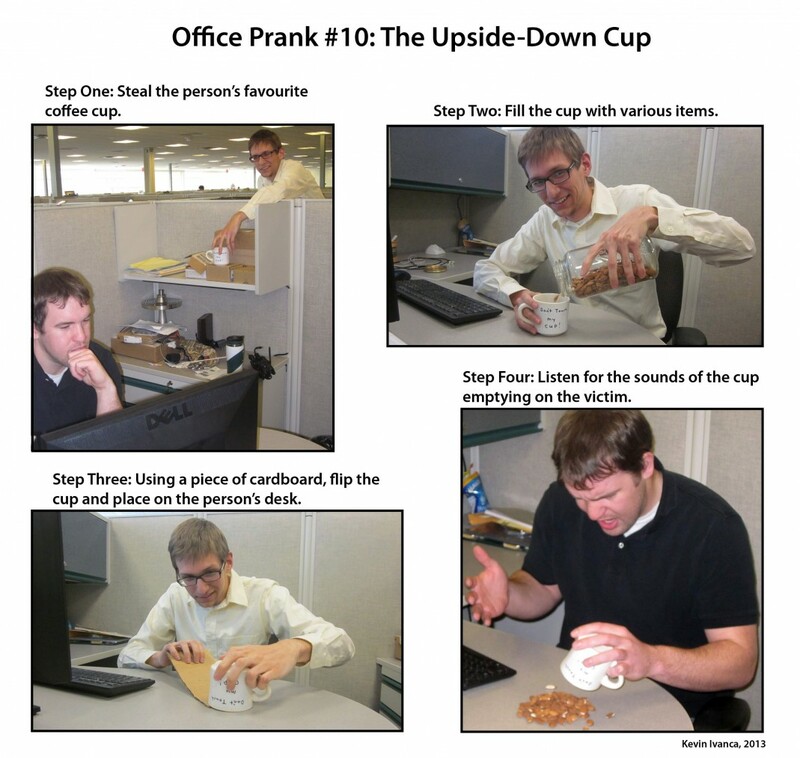 So without further ado, here are four more harmless office pranks in the ever-so-popular sequential comic form that can be dispensed this time around. 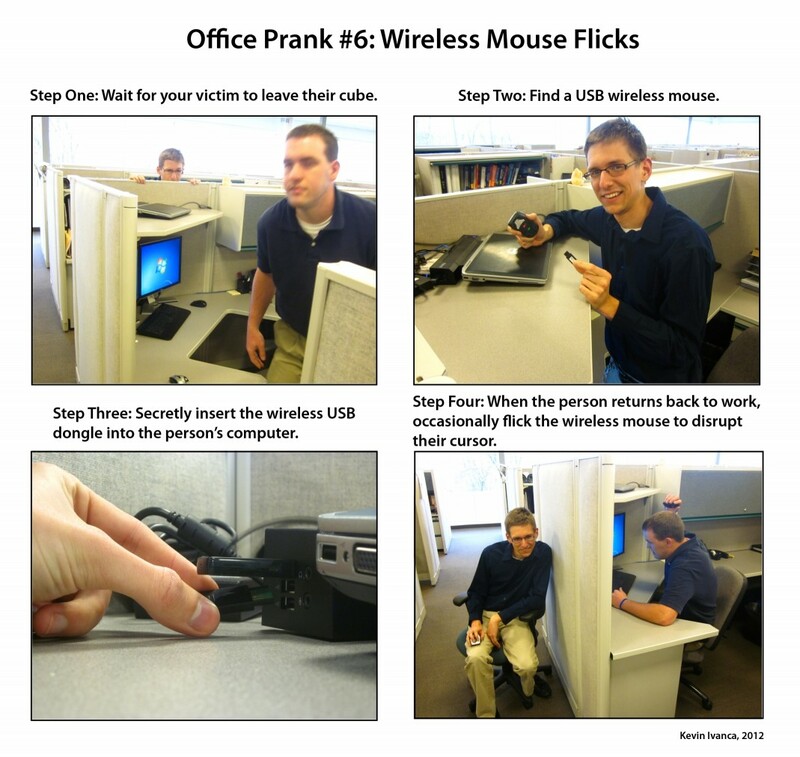 Author’s Note: To see pranks 1-5, see Office Pranking: A Photo Essay by the illustrious (and self-proclaimed) author Kevin Ivanca. 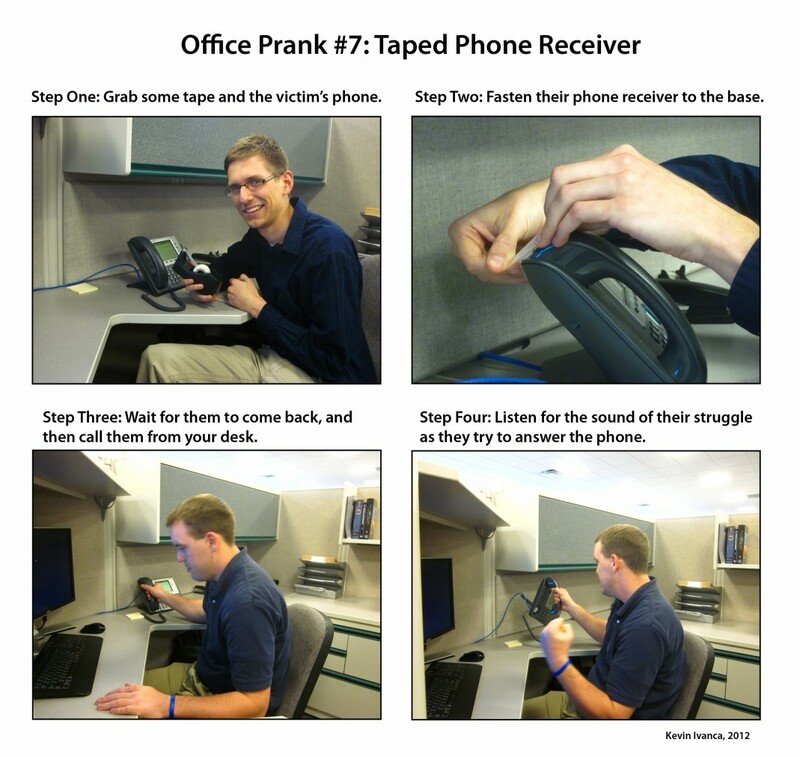 This author is not responsible for any liability or damages caused by any of these pranks, so use these guides at your own discretion. Results my vary. Note: To delete the task, re-open the Task Scheduler and click the “Task Scheduler Library” on the left, select the task in the middle section, and on the right side click “Delete” under the Selected Item section. 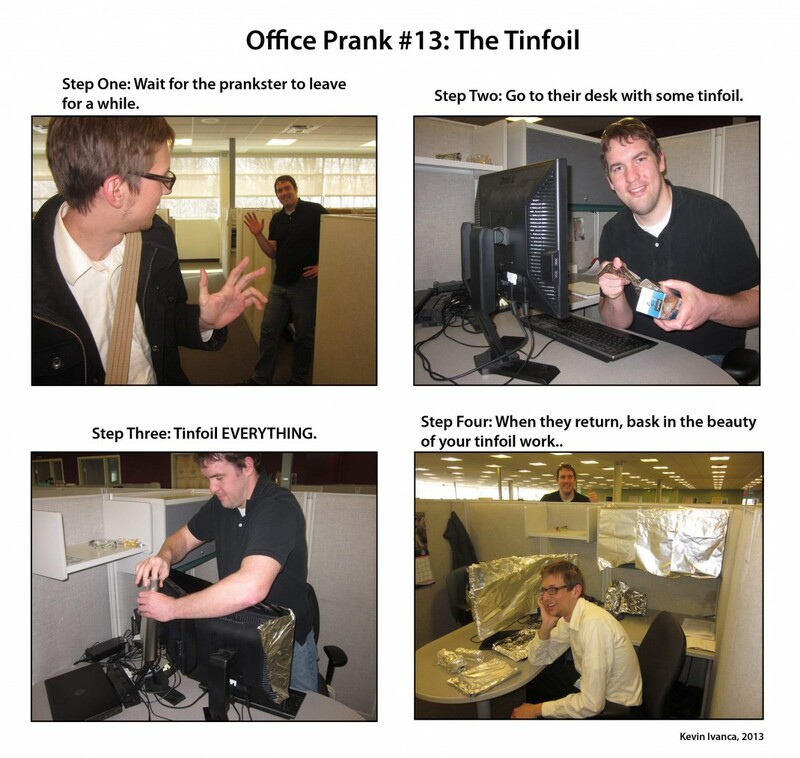 Remember: half of the battle is planning and executing the pranks…and the other half is staying vigilant for people trying to prank you. So be cautious and don’t get caught! Many thanks to my (unpaid) actor Brian Lemke and my (unpaid) cameraman Kevin Kurtzman for working overtime with me on this.